Pekný utorok želám všetkým ~ Dnes sa mám náramne dobre. Včera som úspešne absolvovala ďalšiu skúšku - dostala som B - opäť som s Mi* pochodila niekoľko sekáčov v meste a zašli sme aj do kina na Aquamana ♥ Deň som si teda náramne užila a dnes som po dlhej dobe zavítala konečne aj do práce. Až sa mi tomu nechce veriť, ako dlho som tu nebola. A ani tomu, že už je polovica januára za nami! 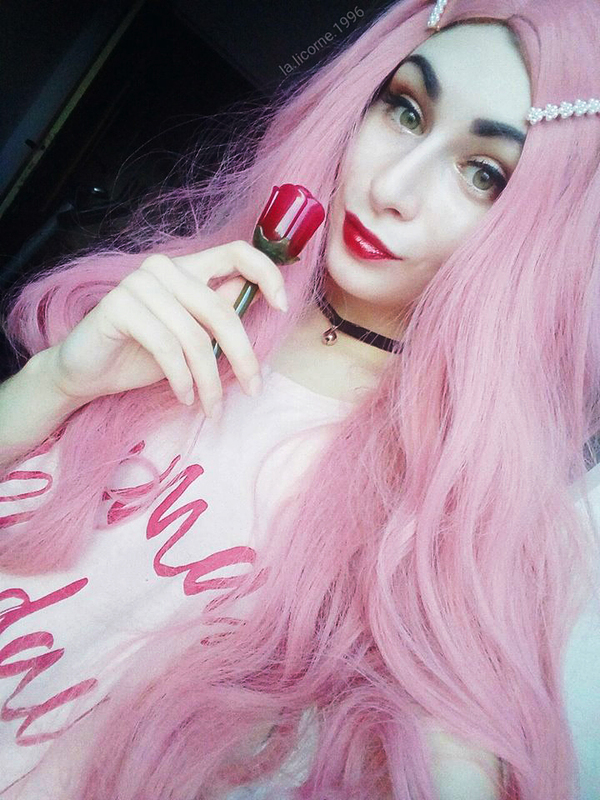 Hello my lovely little licornes ~ How are you today? I feel just awesome! Yesterday, I successfully passed another exam - I got B - was browsing the second-hands with Mi* again and we also went to see a movie - Aquaman - to a cinema. It was a very wonderful day and I enjoyed it a lot! Today is the day when I finally came to work after a month as well! It is unbelievable how long that time flows .. We are already in half of January! In the blog´s drafts, there is already a lot of articles which just can´t wait to be published. Well, since the exam season is a seriously tough one, I had to focus on the university more. But today I am finally back with a new review on a k-beauty product made by my the most favourite k-beauty brand - dear, Klairs. It is a skincare product which is also available on Notino, so I do not have to be worried to only get it on the foreign e-shops. Klairs Supple Preparation Facial Toner sa nachádza v jednoduchom minimalistickom balení. Ja som si na skúšku zakúpila vzorkové balenie o veľkost 30 ml a vydržalo mi takmer mesiac! Vôňa tohto toneru je plná byliniek, esenciálnych olejov a akýchsi lekárenských prímesí, čo mne všetko spolu náramne pekne vonia. Ba priam dokonca mi táto vôňa lepší náladu a navodzuje pocit pokoja! 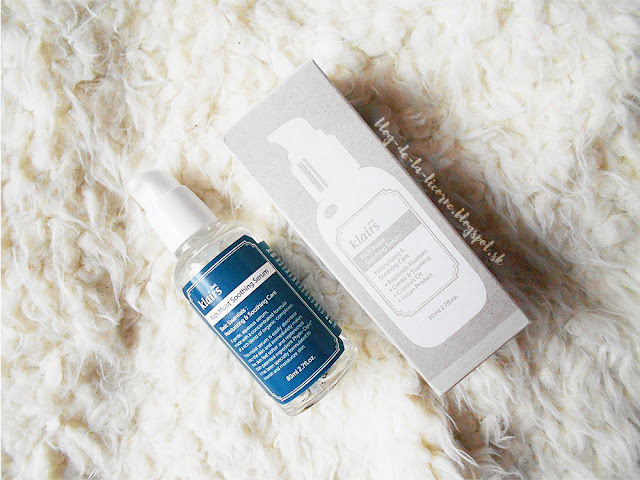 The Klairs Supple Preparation Facial Toner is contained in simple minimalistic packaging. For the first experience with this product, I decided to order a sample size consisting of 30 ml of the toner. It has lasted me for almost whole month! Toner´s scent is full of the herbs, essential oils and other things which remind me of the pharmacy - in a good way, of course. It is a very delicate scent - at least to me - and it helps me to boost up my mood at the same time as it helps me to feel relieved and relaxed. Ide o bezfarebný produkt, ktorého konzistencia je na pomedzí vody a ľahšieho gélu. Po aplikovaní na pleť navodzuje okamžitý pocit hydratácie a sviežosti. Jeho vôňa sa po chvíli vytratí. Toner nielenže pomáha k efektívnosti vašej starostlivosti o pleť (pomáha následným produktom lepšie a rýchlejšie sa do nej vpiť), ale dokonca tiež vyrovnáva jej pH. Je vhodný aj na dočistenie pleti a ako upokojujúci produkt. The product doesn´t have any colour and its consistency is something between the water and a light gel. After applying on the face, you will feel immediate hydration and freshness. Its scent will vanish after a few seconds. This toner does not only helps with the effectivity of the next skincare products (which will be used after this step), but it also helps you to sooth the skin and to balance its pH level. You can also use it as the last time of your cleansing regime. Novoročné zľavy vo výške až 70% stále pokračujú! Nenechajte si tiež ujsť 15% zľavu na produkty vlasovej kozmetiky. Okrem toho aromatického variantu je v ponuke taktiež ďalší, bez vône a v priehľadnom balení. Ten je určený predovšetkým pre pleť citlivú na esenciálne oleje. Musím poklopať, že i keď problematická pleť náchylná na akné zvykne byť esenciálnymi olejmi podráždená, v prípade kozmetických produktov značky dear, Klairs mi neprekážajú. *klop* *klop* Pokiaľ túžite po niečom, čo bude vašu pleť rozmaznávať, ale sa o ňu bude aj príkladne starať, voľba je jasná. Except for this one, there is also available the second version of this toner - unscented one contained in the invisible packaging. This one is more suitable for those who are more sensitive to the essential oils and to the products´ scents too. For me, there was no problem at all and personally, I am very surprised too. The dear, Klairs products are the only ones with the essential oils which do not cause my skin breakouts etc. *knock* *knock* And the acne-prone skin tends to be very, very sensitive to the essential oils! Keep that in mind while choosing your next skincare products! If you have longed for a product which will simply pamper and nourish your skin at the same time - this is my ultimate to-go product! Zloženie produktu. Pre lepšie rozlíšenie kliknite na fotografiu nižšie. Product´s ingredient list. For a better resolution, click on the photography below. This sounds like such a fabulous product! I have yet to try any k-beauty items and I need to get on it. Looks like there's some really promising brands out there! Mám moc ráda korejskou kosmetiku :) Hezká recenze! I prefer toners that don't have an overpowering scent. I'm interested in this. I'll have to try it. Thanks for sharing! I need to try Klairs, i've heard its an amazing brand! thank you so much for sharing this product! btw yes! i'd love to follow each other's blogs! where is your follow box? i can't seem to find it! Thanks for the review! I haven't tried Klairs toner yet but I hope to! Sounds like a wonderful product to try! This toner sounds great. Lovely photos dear. I will definitely have to see if I can find this here in the USA. It sounds like a great product. Thank you so much for sharing this! I've never used this brend, but its very interesting to me. I havent tried this toner before, and already curious to try this. thanks for sharing .